Commercial Access brings the benefits of Call for Participants to commercial companies, charities, NGOs and non-academic research teams. Commercial Access delivers the full CfP service, including the Study Page and all of its features, tailored specifically into packages for the industry. Call for Participants is primarily academia-focused. Because of this, we display commercial research studies in a slightly different way. We highlight commercial studies on the Browse page with a small marker on the corner of your Study Page tile. 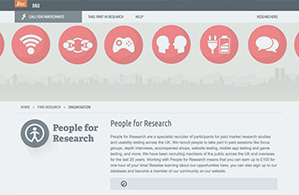 Your Study Page will look mostly the same as academic pages. Above the study essentials panel, there is a small area that denotes whether it is an academic or non-academic study page. 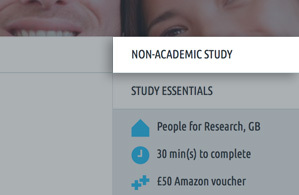 If your Study Page also appears on any Group page, a small text marker will highlight it as a commercial study. 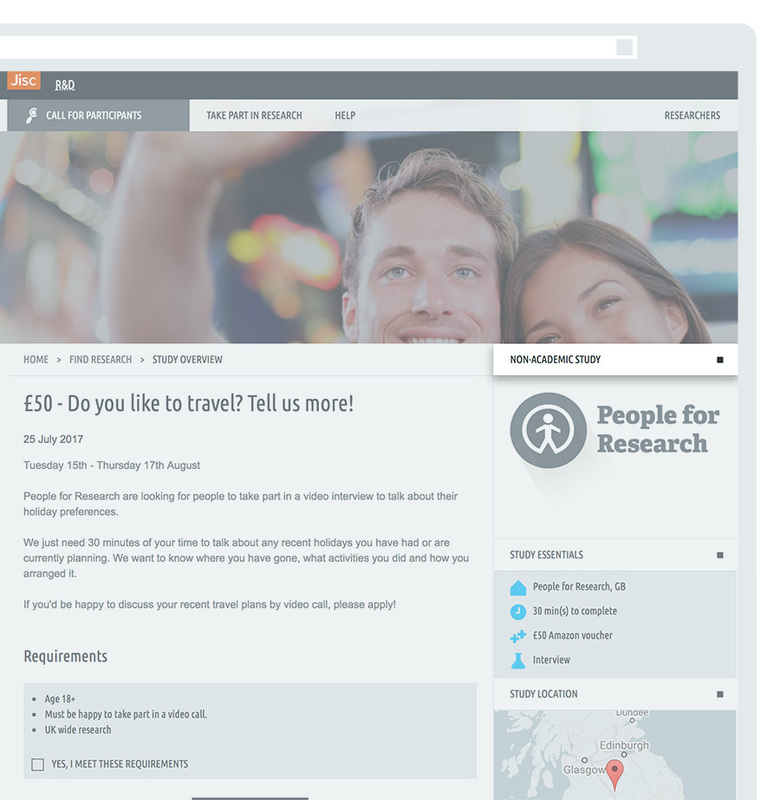 Read how People For Research have used Call for Participants to expand their recruitment activities and delivered 1,500 participants to their clients.